What low growing ground cover would be good for a lake edge area. This area is shaded with overlying woodland type trees. I planted some autumn ferns but they have getting overrun with poison ivy. I am looking for something that is natural (Duval County) that could out compete that and stay relatively low to the ground. You may be more than just a little optimistic in thinking that there is a plant that is going to out-compete Toxicodendron radicans (Eastern poison ivy). You should probably deal with it to get it under control. Here are links to two previous question with answers about controlling poison ivy—one from Texas and a follow-up question from North Carolina. Pteridium aquilinum (Western bracken fern) is considered very aggressive and might help in struggle against poison ivy. See information from the Florida Native Plant Society. Woodwardia virginica (Virginia chainfern) is also labeled as aggressive. 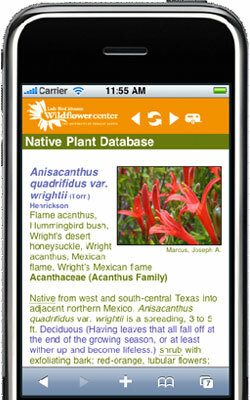 See information from the Florida Native Plant Society. Nephrolepis exaltata (Boston swordfern) is evergreen and spreads by rhizomes. See information from the Florida Native Plant Society. You can find more suggestions for ferns and for other plants by using the Florida Native Plant Society's "Native Plants for Your Area" page and choosing "Duval" from the county list and then using the Refine Your Criteria option for choosing the Light Range, Water Needs and Soil types. May 05, 2012 - Where is the closest place to purchase a Western Soapberry tree? May 16, 2010 - Is arborvitae poisonous to horses? I want to plant it along the horse pasture. If it is poisonous, what are similar plants that are not poisonous to horses?